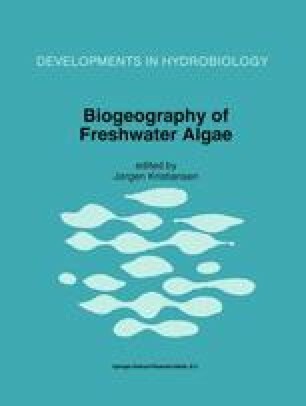 A survey of the freshwater algal flora of the Primorsky Region, Russian Far East, is presented. During more than 70 years of investigations 1659 species (including varieties and forms 2276 taxa) belonging to 346 genera of different groups of algae have been recorded from this territory. The Primorsky Region is rich in habitats attractive to algae-rivers, lakes, reservoirs, and ponds. The details of the distribution of algae in different types of waterbodies have been examined. The algal flora of the region is comparable to the areas, and its taxonomical structure is typical for Eurasia. From this territory some new species and varieties have been described — Achnanthes chankensis, Cyinbella ventricosa var. hankensis, Surirella alisoviana, and others. The flora includes some rare species — Fragilaria magocsyi,Perone dimorpha, and Heterothrix monochloron, and some endemics of Asia — Navicula scutelloides var. baicalensis, N. globulfera var. nipponica, Gomphonema sphaerophorum, and Surirella tientsinensis.